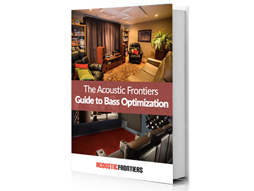 Find out how to get the best bass possible in your home theater, high-end audio listening room, or home recording studio. First Name* Last Name* E-mail* The eBook will be sent to e-mail address you enter after you submit the form. Bass is one of the hardest things to get right in any home theater, listening room or home recording studio. Read this guide to find out how to get reference level bass from your system.